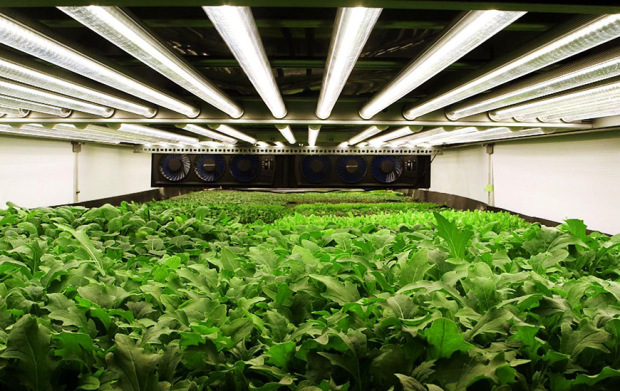 AeroFarms grows a variety of leafy salad greens using a process called “aeroponics,” which relies on air and mist. AeroFarms’ crops are grown entirely indoors using a reusable cloth medium made from recycled plastics. In the absence of sun exposure, the company uses LED lights that expose plants to only certain types of spectrum. AeroFarms claims it uses 95% less water than a traditional farm thanks to its specially designed root misting system.